Don't get too comfy with Firefox's current interface, because it's all about to change. 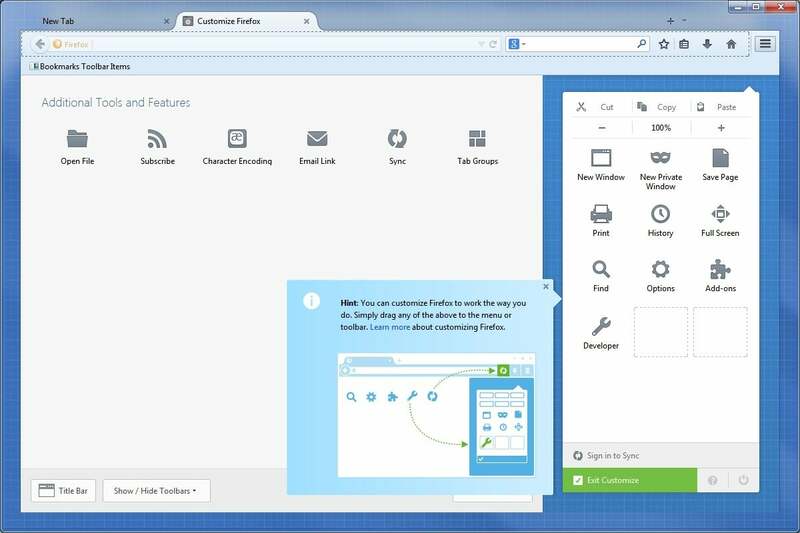 The beta version of Firefox 29 includes a major redesign of the browser's toolbars, menus and tabs. It also changes the way tabs and bookmarks are synced across devices. The new "Australis" design feels bubblier than the old one, with a rounded look for tabs and a revamped menu system. Gone is the orange “Firefox” menu bar that lived in the top-left corner. The new menu button sits in the top-right corner, and uses the same “hamburger” design as Chrome and many other apps. Click on it, and you'll see a grid of icons, replacing the previous text-driven menu system. Mozilla says the new menu system emphasizes customization. Indeed, at the bottom of the menu is a “customize” button that takes you to Firefox's layout tool. From here, you can add or remove buttons from the menu and reposition various buttons and toolbars. Firefox's customize menu lets you drop in just the options you want. One thing that hasn't changed is the bifurcation of Firefox's URL and search bars. While you can search the web by entering keywords into the URL bar, it's much slower than going straight to the search bar. It's a bit puzzling that Firefox doesn't let you combine the two bars with the customization tool, though you can always use an add-on such as Omnibar. 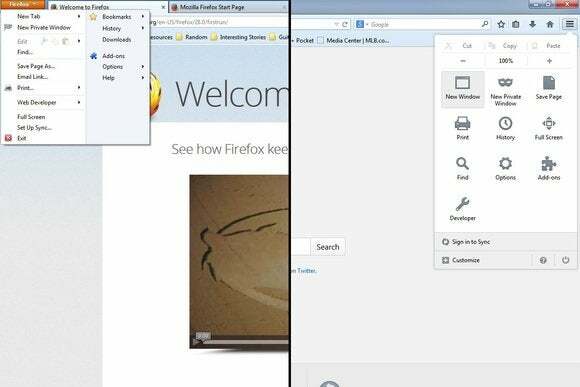 The other major change in Firefox 29 is the use of Firefox Accounts to sync bookmarks, tabs, and settings. Under the old system, Firefox asked users to enter a code to pair each device. The new system asks users to create a Firefox Account. Firefox then stores user data on its own servers with end-to-end encryption. Server-based sync is arguably more of a privacy concern, but it's significantly more convenient—and it's the same way Google Chrome handles syncing. You can try the new features now by downloading the Firefox beta. If you'd rather wait, you'll have about six weeks before the overhaul comes to the stable version of Firefox.